Established in 1953, Area Landscaping has generated a reputation for high-quality landscape solutions and attentive customer service. Owner, Byron E. Wates, Jr. continues to uphold the reputation his father cultivated when the company was founded. With the support of horticulture specialist and long term associate Richard Barfield, Area Landscaping is headed by some of the most knowledgeable professionals in the region. Richard is Area Landscaping's Residential Sales Manager and has been with the company for 30 years. Both professionals graduated from Virginia Tech with Horticulture degrees and have extensive experience with native plants and local landscape design. 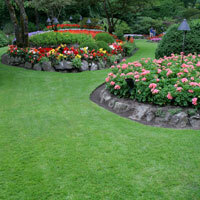 Call (703) 323-0123 or click for a quality Landscape Company.